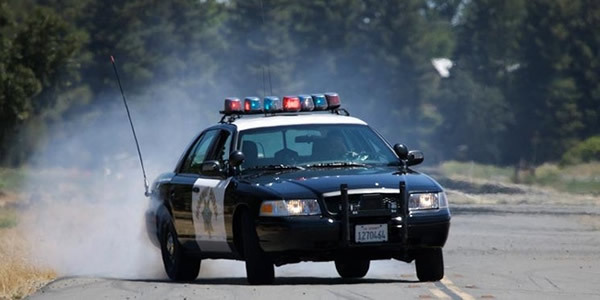 A CHP cruiser. Photo courtesy CHP. A tractor-trailer filled with UPS packages overturned on State Route 76 near Interstate 5 early Thursday, tying up traffic in the area through the morning. The crash in northern Oceanside occurred about 3:30 a.m., blocking eastbound and westbound lanes and forcing the closure of the southbound I-5 ramp to SR-76, according to the California Highway Patrol. Authorities brought in a crane to right the toppled big rig. The process was complete and all lanes reopened as of 10:45 a.m., the CHP reported.